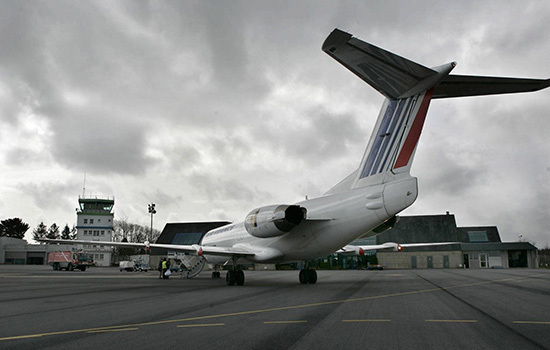 Our taxis are available to take you to Quimper / Pluguffan airport, or any other airport of your choice. We can also pick you up on your return. Whether you have a flight to catch or just want to get home safely after your landing, all Radio Taxi Quimpérois taxi drivers are available 24/7 to support you in your journey to and from the airport. We will welcome you at the airport entrance holding a sign with your name to make sure not to miss you ! We can also drive you to any other airport of your choice, either to the Nantes International airport, or farther airports like Orly / Charles de Gaulle in Paris. Don’t hesitate to contact us for more information on your route and fares to/from an airport (especially in case of long trips). You can check our rates and fares to airports on the dedicated page of the website. Our taxis can handle your luggage to the airport, regardless of their type (suitcase, bag, etc. ), with no weight limit as long as it can get loaded into the car. RADIO TAXI QUIMPEROIS is a GIE located in QUIMPER. Since 1975, we have specialised in passenger taxi services. Now, with RADIO TAXI QUIMPEROIS, 18 drivers are available 24/7.